Affenpinscher dogs originated in the 17th century Germany and are one of the most ancient of the Toy Breeds or little dogs. “Afffe” is German for Monkey and Affenpinschers are known as a “Monkey Terrier” because they often have monkey-like expression on their face. In France they are known as the “little devil with a mustache”. Affenpinscher Dogs had a significant influence in the development of several smaller rough-coated dogs in continental Europe, including theMiniature Schnauzers and the Brussels Griffon breeds. Afghan Hound Dogs are considered one of the oldest dog breeds. They have a distinctive tail with a ring curl at the end. They are also high hipbones and an aloof but dignified temperament. The Africanis name is a categorical or umbrella name for all aboriginal dogs found in South Africa. Specifically the name Africanis is broken down into “Africa” (the continent) and “Canis” (dog). Bergamasco Shepherd Dogs are Sheepdogs and Cattle Dogs. They were selected in ancient times as shepherd dog in order to protect, guard, and lead flocks and herds. Their name originated from the Province of Bergamo, and spread in the Alps, where sheep-herding was highly developed. Ancient Tibetan shepherds are thought to have been the remote ancestors of this breed. 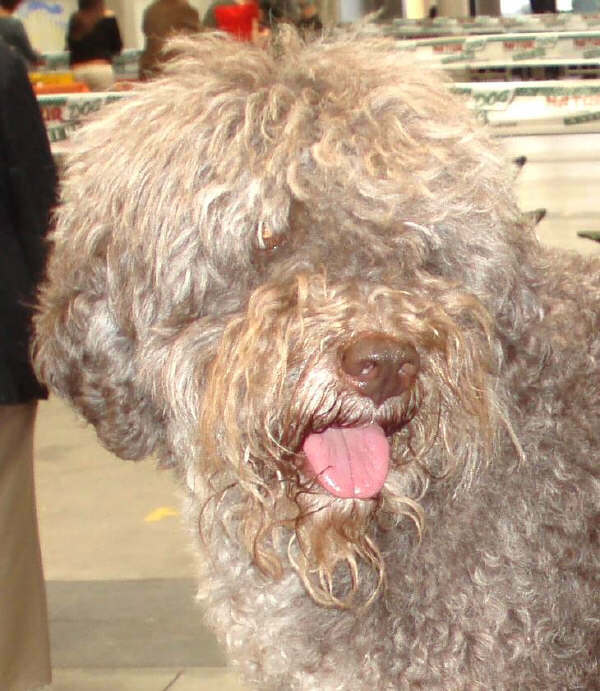 Bergamasco Shepherd Dogs are medium-sized and have a rough appearance with an abundant coat. They have a powerful build and excellent proportions. Bolognese Dogs are a very old breed; images of them have been ancient Roman earthenware. They were considered a very precious dog, particularly during the eleventh century. Bolognese Dogs are related to small white dogs that Aristote called “Melitensi” and that were largely found in the Mediterranean regions due to sea trade and the continuous moving of merchant ships from one country to another. During the Renaissance within the nobles it was custom to give such small dogs as a present: it is proved that even Katherine II of Russia used to have one of these dogs. Nowadays they are not so popular abroad, as they are mainly bred in Italy. Cane Corso, or just Corso, dogs comes from the ancient “canis pugnax”, the Roman Molossian. It was taken on as livestock guard and self-defense, as well as for game hunting and as fighter in war. His name “Corso” comes from the Latin “Cohors” which means “protector”. Although during the centuries he has been applied for various applications, Corso dog has always stood out for his unusual feature, being able for guard and defence as well. Throughout the centuries he has kept his tough brave temperament; he is an excellent biter, although he never attacks without a valid reason. He is one of the best breed along with the Neapolitan Mastiff as a property guard. Carnico Scenthounds have ancient origin and were very common on the mountains and hills of Friuli since 1970s, particularly in Carnia, Italy. Unfortunately only around 50 are still living. Cravin Scenthounds originated from Piedmont and are a variety of the small Italian hare dog. 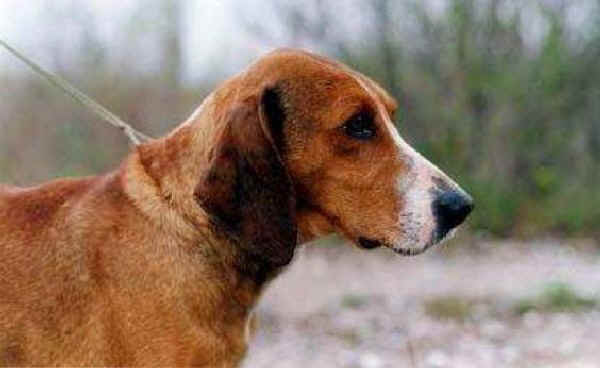 They probably are the result of crossbreeding of Italian scenthounds, among which the “Ciaplin”, a very expert small tawny short-haired scenthound with white paws and tail end. 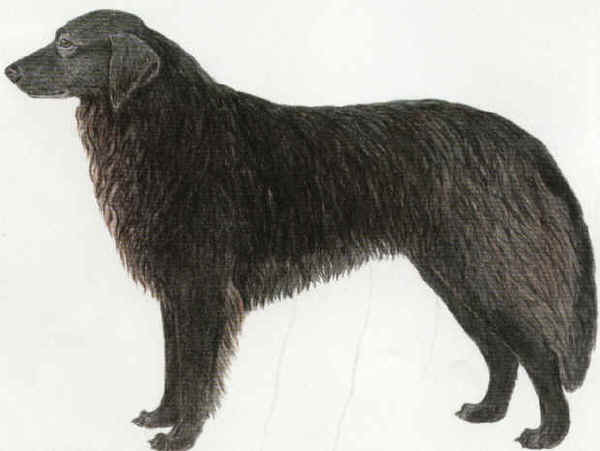 In the past these dogs were reared by farm hunters on the Piedmont hills; together with golden or white-orange rough- haired scenthounds from Savoy, probably the Vandean “briquet”, largely present in the Piedmont Alps. Over time, and with many crossbreeding, the Cravin Scenthounds have greatly changed and how they are used. English Mastiff, or just simply Mastiff, Dogs are extremely large dogs. They are distinguishable by their enormous size, massive head, and a black mask. They are also noted for a gentle and loving nature. Most likely they are descended from ancient Alaunt and Pugnaces Britanniae Dogs, with a significant input from the Alpine Mastiff in the 19th century; however, the modern type was established in the 1880s and refined since. Throughout its history, the Mastiff has contributed to the development of a number of dog breeds, some generally known as Mastiff-type dogs. French Bulldogs, also known as "Frenchies", are small bulldogs. They are the result of a cross between bulldog ancestors imported from England and local ratters in Paris (France) in the 1800’s. In 2014, French Bulldogs were the fourth most popular registered dog in the United Kingdom and in the U.S. the ninth most popular AKC registered dog breed. Modern French Bulldogs descends directly from the dogs of the Molossians, an ancient Greek tribe. The dogs were spread throughout the ancient world by Phoenician traders. 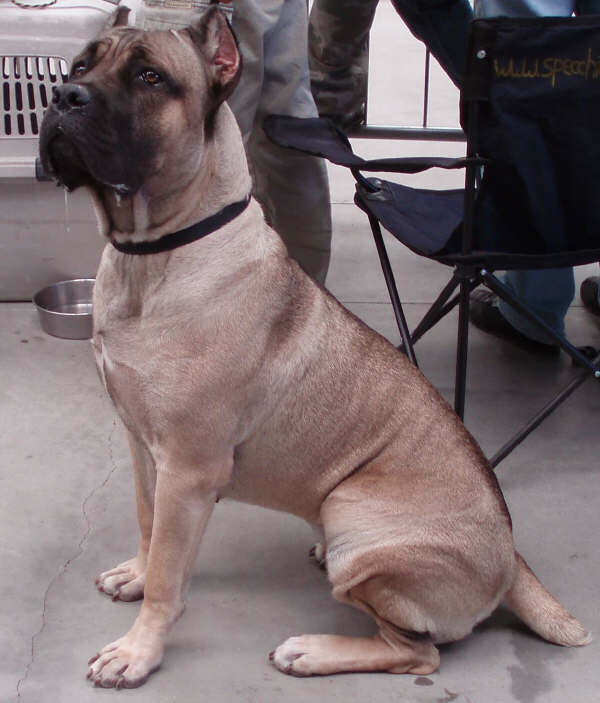 British Molossian dogs were developed into the Mastiff. A sub-family of the Mastiff were the Bullenbeisser, a type of dog used for bull-baiting. Great Pyrenees are large white dogs named after the mountain range in Southwestern Europe where they have been used as guardians of livestock for centuries. In the U.S. they are referred to as Great Pyrenees dogs. In the United Kingdom and in Europe they are known as the Pyrenean Mountain Dogs. 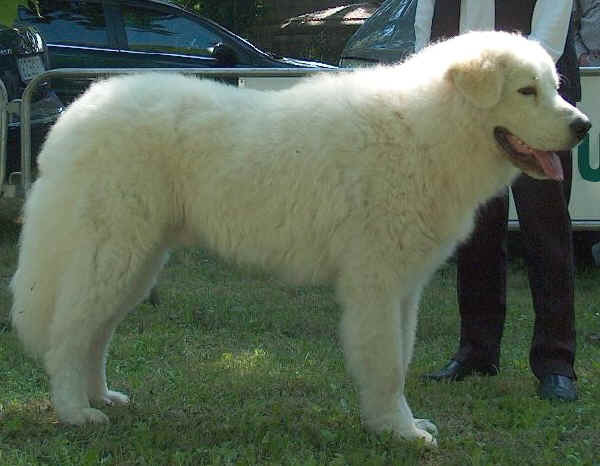 In their native France, they are called Le Chien de Montagne des Pyrenees or Le Chien des Pyrenees. Most likely they originated ten or eleven thousand years ago in Asia Minor. It is believed that they came to the Pyrenees Mountains with their shepherds and sheep about 3000 B.C. Over the millennium they have developed the characteristics that make them unique to the group of Livestock Guardian dogs. 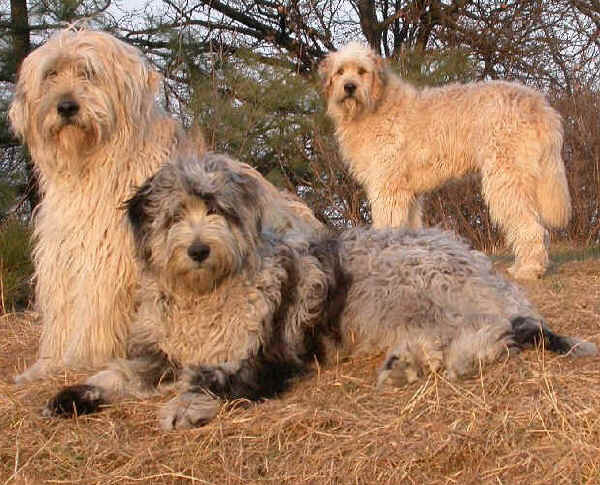 Italian Griffon Dogs are ancient Italian breed. 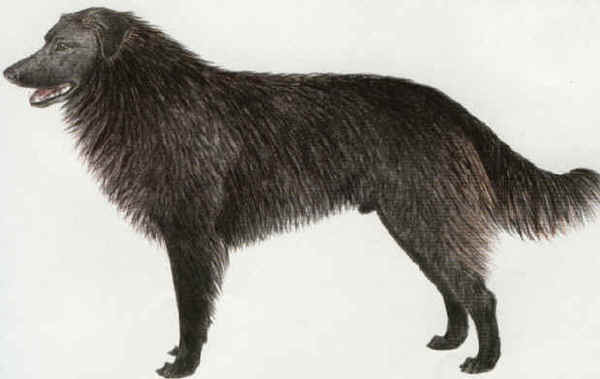 In various literary works there are references to Italian rough-haired dogs. 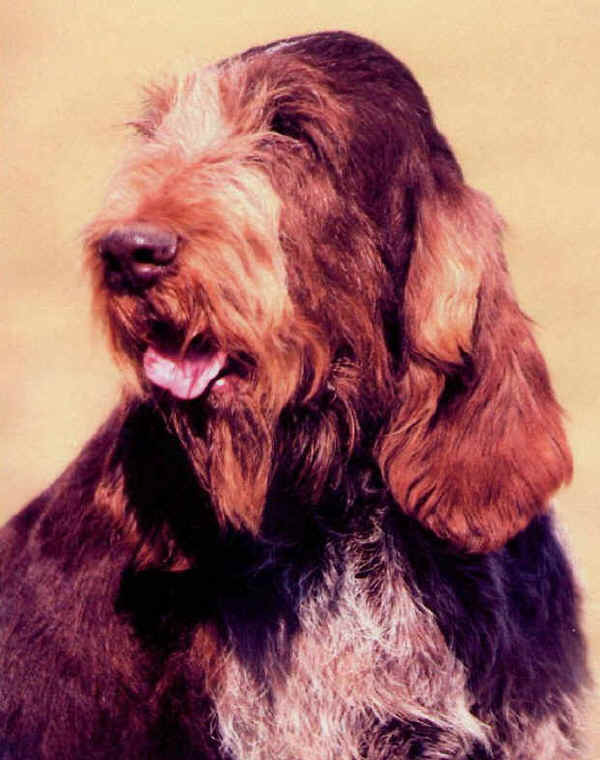 The highest popularity of this breed was during the Renaissance, when it was mainly applied in hunting as a setter. Throughout the centuries it has come to the present days getting through numerous crossbreeding with other hound breeds. 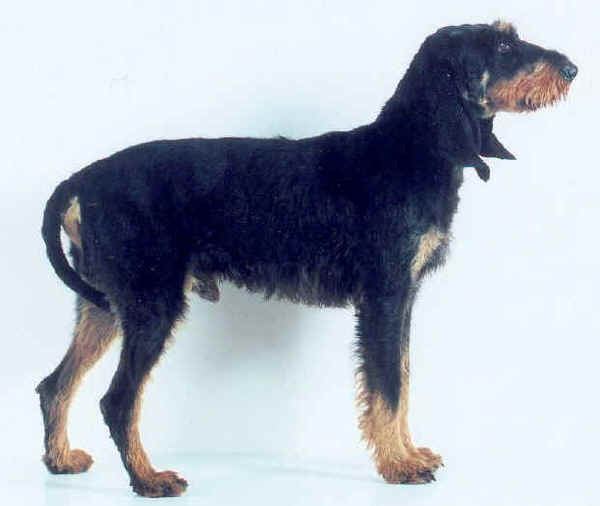 After World War II this breed was revalued and rebuilt thanks to few important breeders. Apart from Italy this breed is also popular in the United Kingdom and in Scandinavia. Italian Pointers were a very popular breed during the Renaissance; they were especially appreciated by nobles and the kings of various European countries. They were bred at the Gonzaga’s and The Medici’s, largely employed during hunting in the nearby woods, which at that time were rich of game. Their popularity sharply declined towards the 19th century but in the last century they were revalued and employed for hunting feathered game. Their hunting gait is a trot, while all other breeds gallop in hunting. 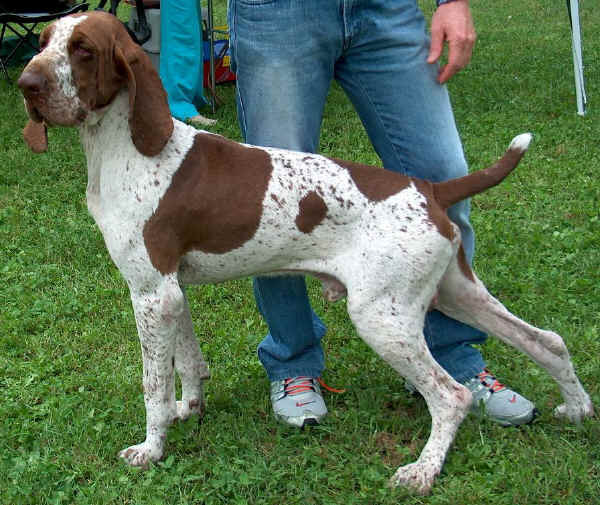 Italian Pointers have a strong build with a vigorous but a harmonious and well-proportioned body. Italian pointers are very clever and extremely loving, they can learn surprisingly fast. 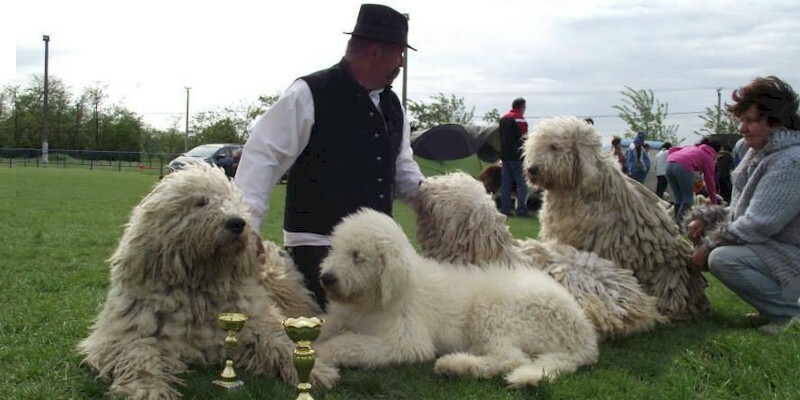 Komondor dogs (also known as the Hungarian sheepdog) are large, white livestock guardian dogs with a long, corded coat. Komondors were brought to Hungary by Cumans, the Turkic speaking, nomadic people who settled in Hungary during the 12th and 13th century. The name Komondor derives from Koman-dor, meaning "Cuman dog". In the late 10th century, Mongols began to expand their territories at the expense of the Cumans, forcing them to move westwards. Fleeing from the Mongols, they reached the borders of Hungary in the 12th century. Cumans were granted asylum and settled in Hungary in 1239 under Köten Khan. Maremmas are excellent Sheepdogs and Cattle Dogs from Tuscan Maremma and Abruzzo, Italy, where they have been bred since Roman times. They are large dogs with a strong build and majestic aspect. Maremma dogs are strong and generous, reflexive and energetic at the same time. Pyrenean Mastiffs are large dogs originally from the Aragonese Pyrenees in Spain. They are a very large dog, males 77 cm (30 in) and females 71 cm (28 in) at the withers, although they can be up to 81 cm (32 in). They have a heavy white coat with large darker spots. The average weight is about 81 kg (179 lb), although males can often weigh over 100 kgs (220 lb). Pyrenean Mastiff, for a long time accompanied the herds of sheep in its migratory paths from the Aragonese and Navarrese Pyrenees to Maestrazgo. Their main function was to guard and protect the herds and their masters from wolves, bears, and thieves. There are no Dog breeds that start with the letter Q.
Romagna Water Dogs are an ancient retriever breed in water. It dates back to 1800 in the marshes around Ravenna and in the Comacchio plains, Italy. The land reclamation eliminated all marshes in Italy and the Lagotto Romagnolo had to start a new ‘job’ to help man, so little by little ha has specialized as a truffle-dog in the country and on the hills of Romagna. In fact this dog has become the only worldly recognized breed with this attitude. His smelling is infallible and it is really easy for this dog to find a truffle. 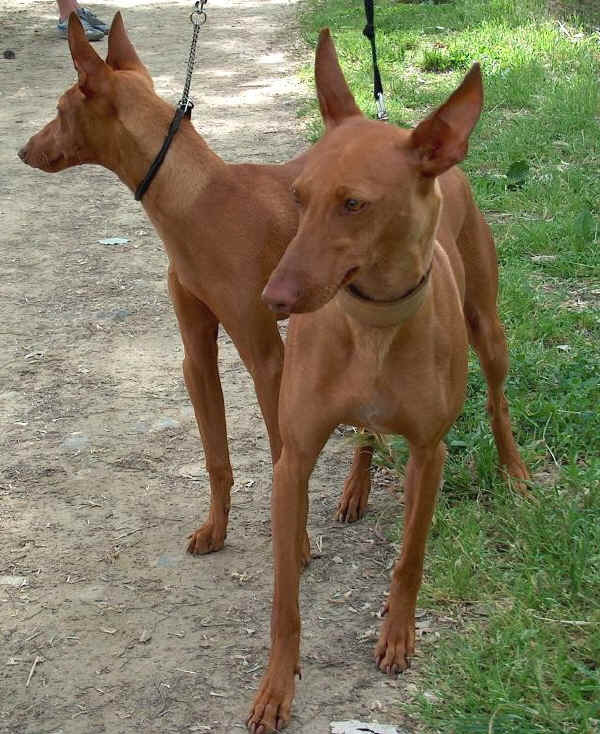 Sicilian Hound Dogs, also known as Cirneco of Etna, are a very old breed. They date back to 1000 a.c. They are said to descend from the Aegyptian Pharaos’ dogs from the late dynasties and from dogs imported into Italy by Phoenician traders. But later studies have shown that they are quite likely a native Sicilian breed. During the latest centuries they have been applied for hunting wild rabbits. On the whole they are not common outside Italy. Sicilian Hound Dogs are a medium-small sized dog of elegant and slender shape with a short coat all over the body, although they have quite thin muscles and build, they are steady and strong. 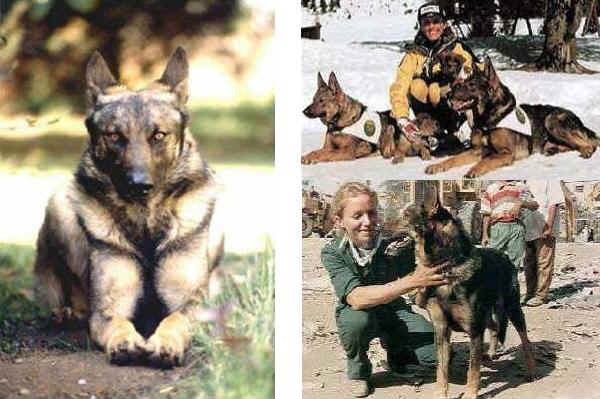 Sicilian Shepherds , or Pecoraio Siciliano, Dogs are considered to be the oldest breed in Italy along with the Sicilian Hound; however, today they have almost disappeared. Sicilian Shepherd Dogs throughout the ages were raised to guard livestock in Sicily until 1925. In 1925 Wolves where completely eradicated from Sicily. 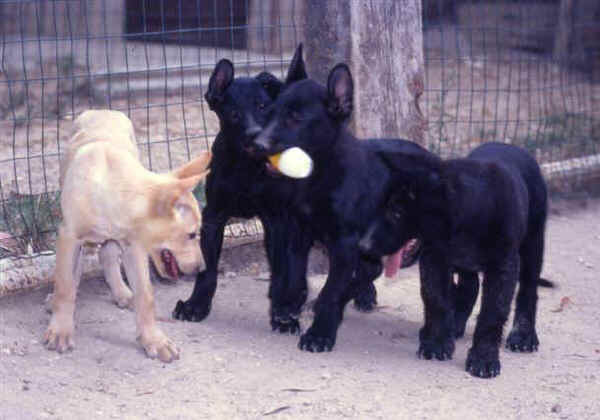 Since then there has not been the need Sicilian Shepherd Dogs and their numbers have steadily declined. They are a medium-sized dog, withers height 55-68 cm, their coat is black with a white throat. Their fur is long and usually wavy with large curls. There are no Dog breeds that start with the letter X.
Yorkshire Terriers, affectionately known as "Yorkies," offer big personalities in a small package. Though members of the Toy Group, they are terriers by nature and are brave, determined, investigative and energetic. 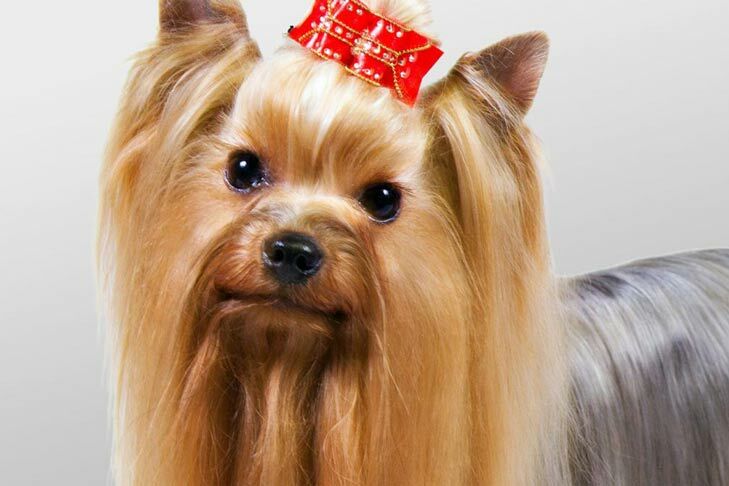 Named for the English county from which they originally hail, Yorkshire Terriers were used in the nineteenth century to catch rats in clothing mills. Surprisingly enough, in its beginnings, the Yorkie belonged to the working class, especially the weavers; in fact, facetious comments were often made about how the dogs'' fine, silky coats were the ultimate product of the looms. Eventually, the breed left the workforce and became a companion animal to families of European high society. There are no Dog breeds that start with the letter Z.